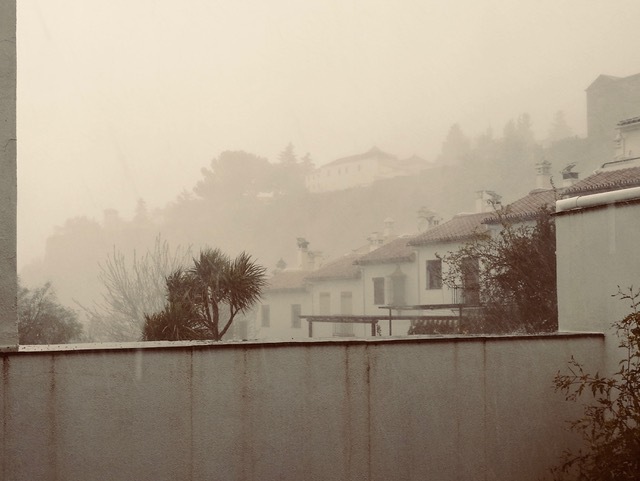 When my husband and I moved from the Canadian West Coast to the Spanish south a few years back, we knew that our life would be far sunnier that what we had been accustomed to. That is after all how the world at large sees Spain – beaches, sangría and most of all, lots of sun. But sunny Spain is not always so sunny and visitors are ill advised to think that they won’t encounter rain whilst on holiday in the Iberian south. I would certainly suggest checking several weather forecasts before tossing only shorts and flip-flops in the suitcase for a holiday in early November, as some tourists seem to do. There is no way around the fact. It might, it will and it does rain in Spain. 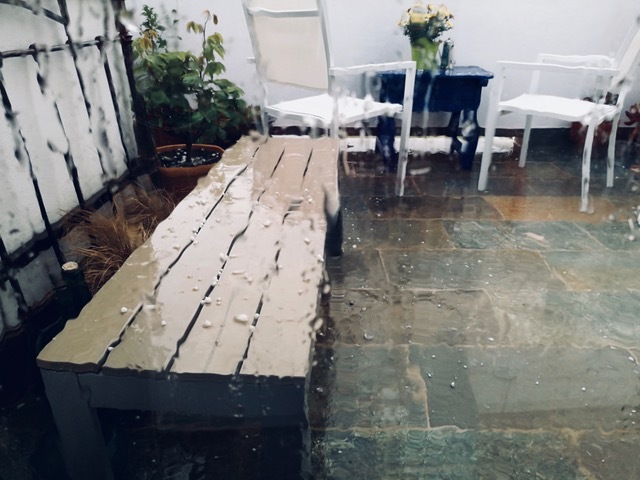 The annual rainfall in Madrid is actually only fractionally less than that of London, with the difference that the rain in the Spanish capital arrives in half the days of the UK one. 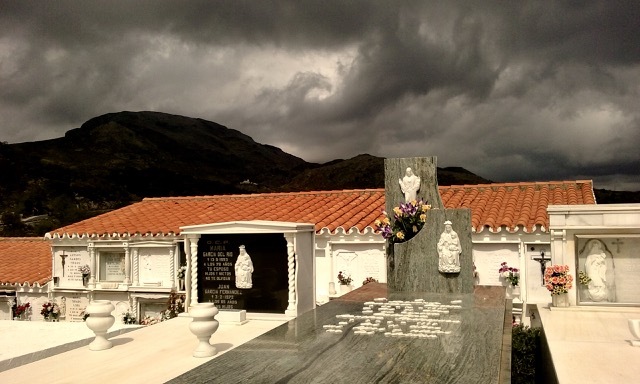 Of course, Spain is generally a sunny place. In a normal year, our town might have no precipitation from May to November. Yet, rain it will, certainly as soon as the first signs of fall appear. 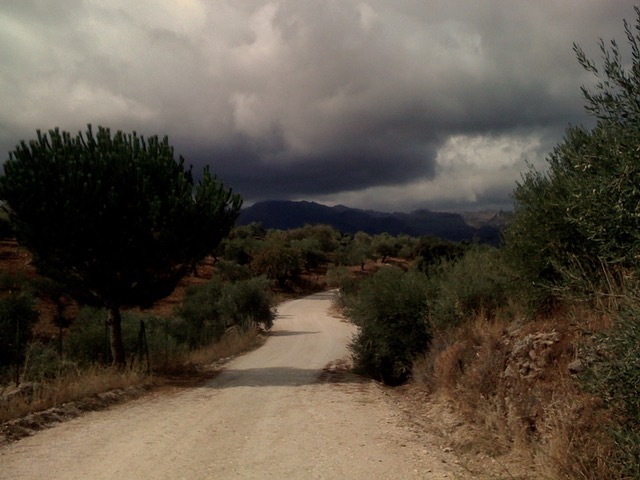 Living in Andalucía, we have come to expect sudden cloudbursts and rapidly changing weather. In many ways el tiempo andalu’ echoes the temperament of it’s people, being both unpredictable and almost overly dramatic. Added to the erratic weather patters of the Latin south are more frequent and severer storms that come with global warming. Ask any old person. The weather is not what it used to be. Antonio, one of our neighbours who has lived near a century (his age changes ever time I talk to him…) says that it rained much more in these parts in the old days, but they never experienced the volume, concentration and intensity that we now see. In an average year, Ronda will receive about 500 mm of precipitation, making it just over 40 mm per month. Yet, the fact this statistics doesn’t show is that this rain might come in a single day, in an hour, or even in a matter of minutes. 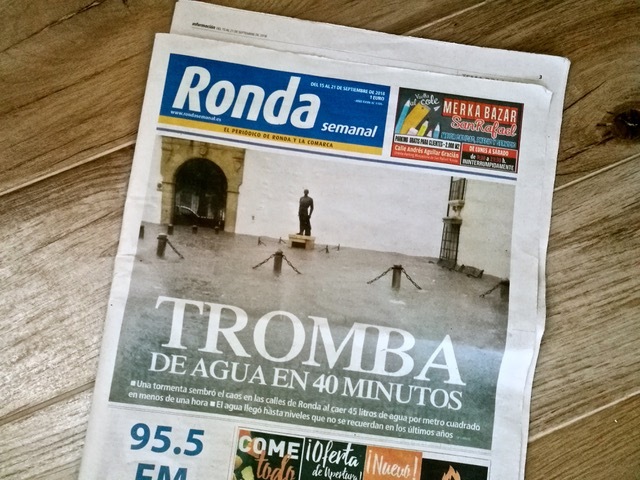 The current record is from 2009, when Ronda received 110 litres of rain per square meter in less than 24 hours. Therefore, travellers, consider yourselves warned. 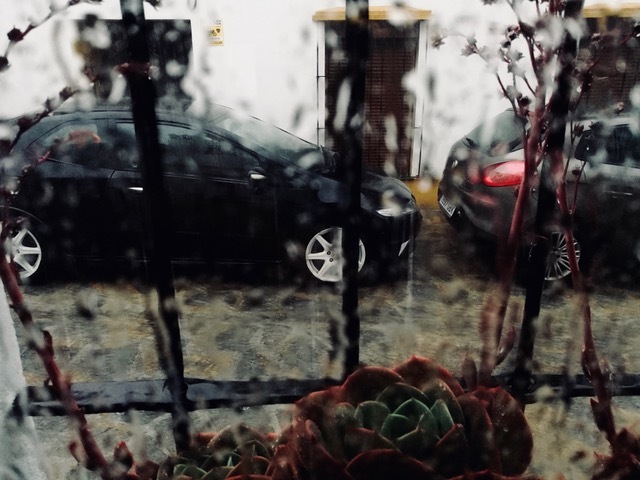 When it rains in Spain, it can really rain. We are not talking merely cats and dogs. You might be confronted with an end-of-the-world downpour, such as the one we had a couple of days back. To be fair to the weather forecasters, they had predicted a possibility of occasional thunder and a couple of passing showers. But nothing could have prepared the town for the apocalyptic drench we got. Some neighbours measured (farmers do such things…) 60-70 litres per square meter in the space of about half and hour. We are talking biblical proportions. Streets became sweeping rivers and waterfalls that brought along any obstacle in its way – garbage, restaurant tables, and regrettably illegally double-parked cars. Stores, warehouses and homes were inundated. Truth be told, I love a good rainstorm. 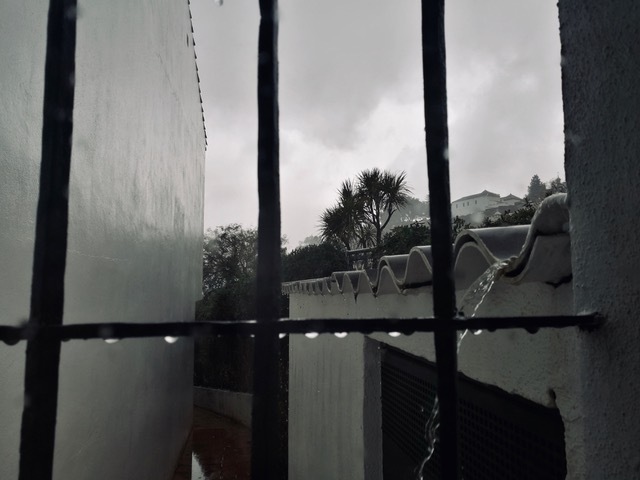 When we visited Ronda for the first time, it was actually raining sideways, and it never discouraged us from coming back. In the end, maybe this potential for dramatic weather is part of what attracted us to this place and made us choose it as our home?